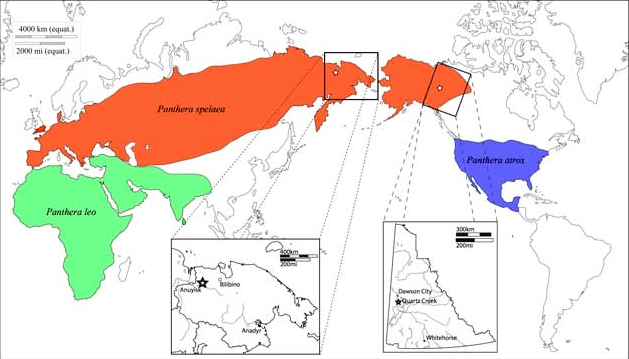 The permafrost of Siberia has the perfect conditions to preserve biological specimens for tens of thousands of years. Though nowadays we associate lions with Africa, millions of years ago, ancient lions traipsed across Europe, Asia, and North America. 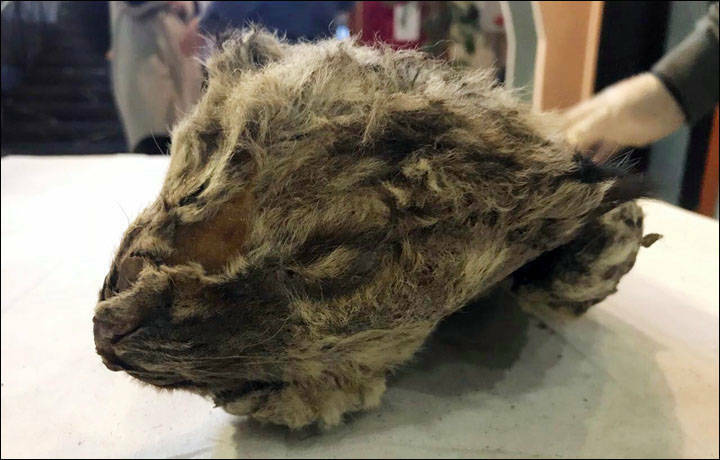 One of these ancient lions, a young cub, was recently unveiled after being found frozen in the Siberian tundra of Russia by a Abyisky district resident in September, reported The Siberian Times. The approximately one-year-old cub was frozen alive, with his head still resting on his paw. It is not yet clear whether the cub was male or female. Tests will be carried out on the cub to discover its exact age, but experts estimate the frozen creature is between 20,000 and 50,000 years old. This cub is a Eurasian Cave Lion, or Panthera leo spelaea, one of an extinct subspecies of lions that roamed across Europe, Russia, and even Alaska from 370,000 to 10,000 years ago. The permafrost, or permanently frozen ground, of Siberia, has the perfect conditions to preserve biological specimens for tens of thousands of years. Wikimedia CommonsRanges of subspecies of cave lions. 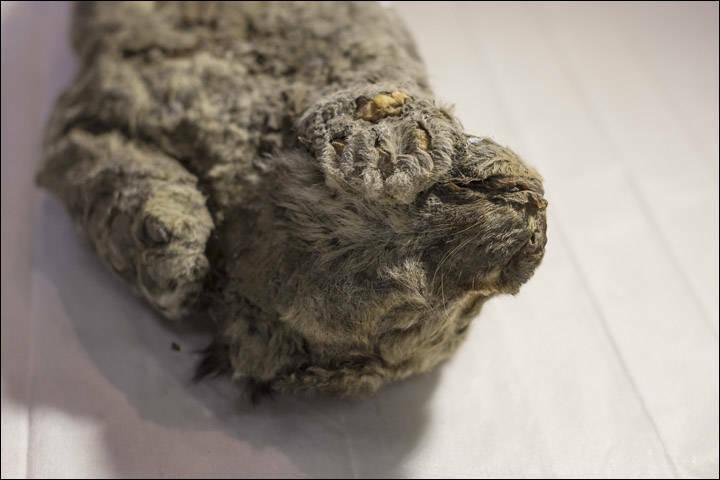 In fact, two lion cubs of the same species were discovered in the Siberian tundra in 2015. However, this newest discovery is preserved in better condition than those found previously. Unlike the 2015 cubs, who died at around two to three weeks of age, the new cub is older, giving it features like full grown teeth that allow for a better dating of the animal. “Everyone was amazed then and did not believe that such a thing is possible, and now, two years later, another cave lion has been found in the Abyiski district,” said one of the scientists who analyzed the frozen cub. The cub has been given to the Russia’s Republic Academy of Sciences, where it will undergo further study. In 2016, Russian and Korean researchers already discussed cloning cave lions from previous samples in 2016, and this newly discovered cub will likely contribute to these efforts. Next, read how scientists are planning to carry out the revival of this cave lion species. Then, check out the video that some are saying shows the extinct Tasmanian tiger alive and well.